And when fate gives you a class of 4th/5th grade Potterheads, it is your bounden duty to have a Harry Potter themed class day because the odds of those percentages happening again is probably very low. Everyone dressed up, I assigned houses and house cups and awarded points in my best McGonagall voice. I made wands (who chose the wizard!). We turned math into Potions and presentations into wand duels. Latin was Spells and the types of clouds were sung to the theme song. etc etc It was the highlight of my teaching career. I can brag about it now, because it was last year and all of those Harry Potter fans (including my own) have moved on and now need new books to get sucked into. So in honor of my old students, I went through my book shelves color by color, block by block and these are the ones that jumped up and down, reminding me of their awesome addictiveness and possible similarities to Harry Potter. Some of these books are far better, older and wiser than anything JK Rowling will ever write, but Harry Potter remains firmly entrenched as a gateway drug into a lifelong love of reading, so you won't find me bashing Harry (rarely...cough cough). 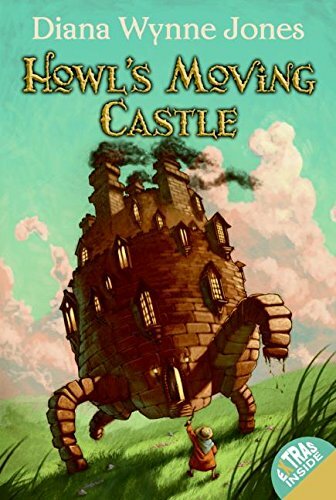 This one comes in first place because it's whimsical, funny, full of magic, has a crazy wizard who's always dyeing his hair different colors, and the plot and ending is pure perfection. It's not a series, but a nice fast paced easy read. If you've seen the movie, it's also wonderful but totally totally different...so different they bear almost no resemblance but the name. 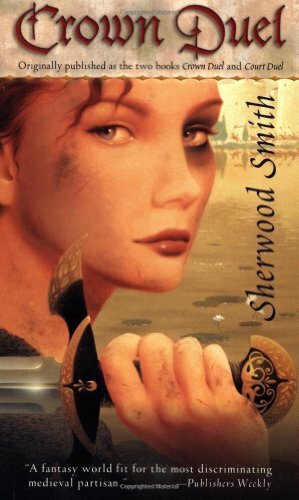 All of Sherwood Smith's books will eventually be consumed by Potter lovers...it's just a matter of which ones come first. I chose Crown Duel/Court Duel because it's the easiest one to find at the library, has an accessible story and characters, and works well to familiarize you with the world of Sartorias-deles. There are lots of books and series within this world and really you can't get enough of them. I wish she'd written a dozen more. The magic is more Lord of the Rings or Narnia (more high fantasy), but her writing style is a little more like JK. Prydain should really be in first place. 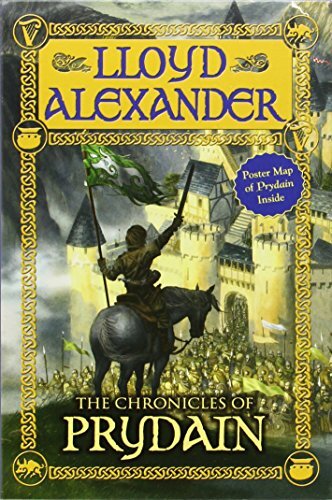 The series deserves to sit right under Narnia, but the writing is a little older and my anecdotal observation has been it's harder for some kids to get sucked into this series. 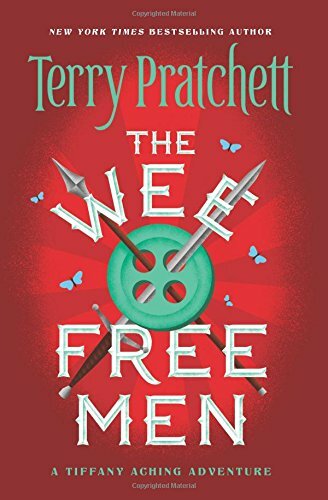 It's another high fantasy story though about a boy named Taran who dreams of being a grand hero even though he's slugging away in the trenches as a pig-keeper. Most are probably familiar with at least the title of the 2nd book which boasts of its own Disney movie. The Black Cauldron. Every kid needs to read these books at least once in their childhood. 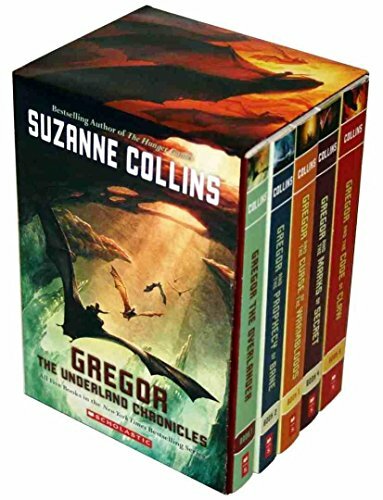 Gregor doesn't have a lot of magic, witches and wizards, but it is the most similar to Harry Potter in theme and style. It follows the story of a boy who is watching his baby sister, and they both fall through a hole (Alice style) and end up in a world with giant intelligent bats and lovable cockroaches. You probably will recognize the author Suzanne Collins as the person who gave us Hunger Games. But Gregor came first, is way more child appropriate, and is arguably better in my opinion. There are five books in this series, so it should keep your kids busy for awhile. Percy Jackson (or anything else written by Rick Riordon). If Harry Potter is Greys Anatomy, then Percy Jackson is Scrubs. Fun, fast paced, but a lot more fluff. Eragon. Written by a homeschooler who basically smooshed every single fantasy/scifi plot device into one book/series. It will drive you crazy if you're an adult, but will keep you busy and entertained for a long while if you're a kid. The Mysterious Benedict Society. These have a very tight, small plot which I think bums out Harry Potter fans who are looking for that big magical world building feel. But they are entertaining and intelligent in their own right and I think they appeal especially to kids who like puzzles or mysteries as well as fantasy/magic.